Superstars Rihanna and Kanye West teamed up with rock legend, Paul McCartney to record, “FourFiveSeconds,” an emotionally raw song about the volatility of relationships. This beautiful monochrome video, directored by Inez & Vinoodh use classic cinematography to interpret the passion evoked by the song. 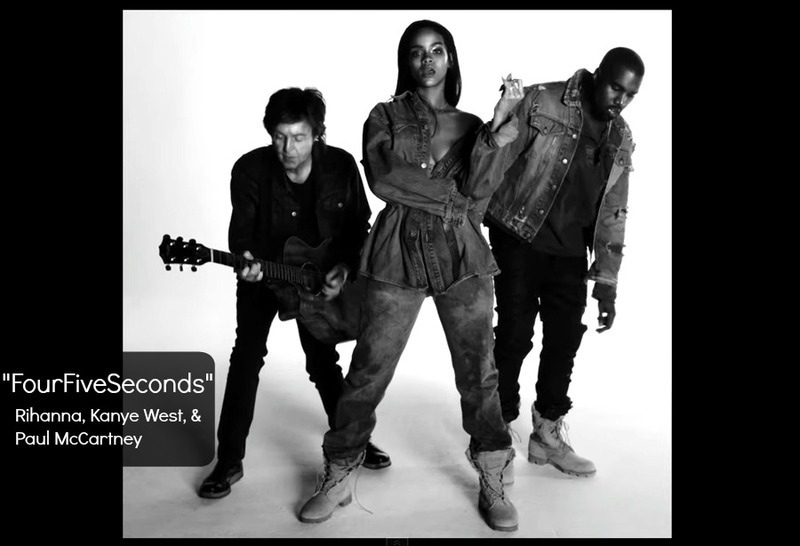 The trio will perform “FourFiveSeconds” live on the Grammy Awards show. “FourFiveSeconds” is the first single from Rihanna’s upcoming new album.